Happy Fall! I love the crisp air, hearty fall harvest. How everything tastes like down home this time of year! But I loove sprucing up our front deck most. 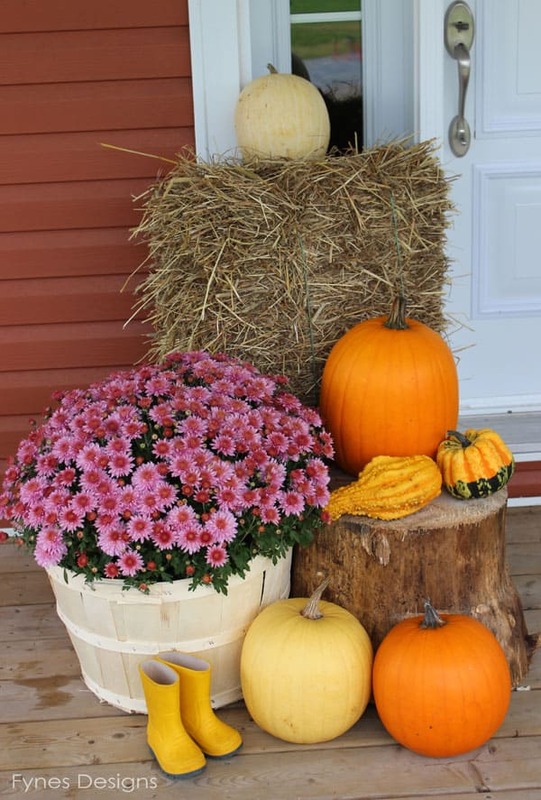 I couldn’t wait to share my fall porch decorations with you. 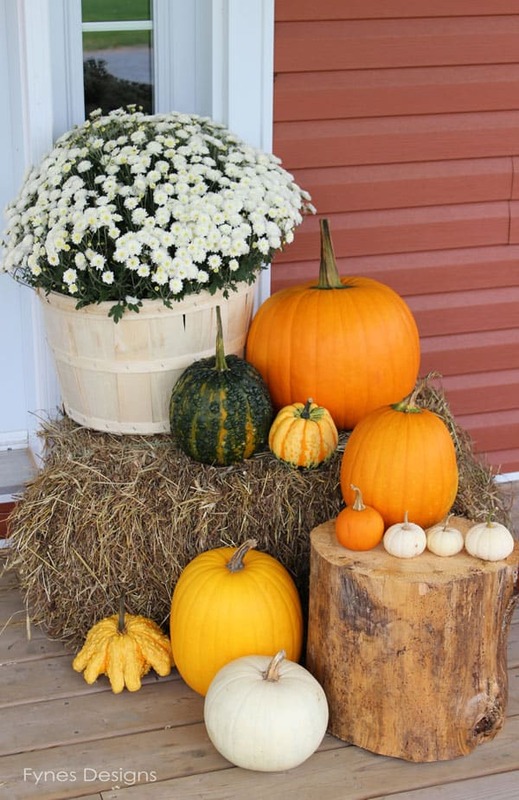 I had such a great time putting together the deck decor this fall, the weather was perfect and it was the first time our Danish exchange student got to pick pumpkins! Isn’t my house the perfect color to compliment fall?? This fall wreath I put together with only one leaf strand, and some discount spring flowers. Only about $10 to create! Thanks for stopping by today to have a look at my fall porch decorating ideas, I hope you have fun preparing your home for Fall! 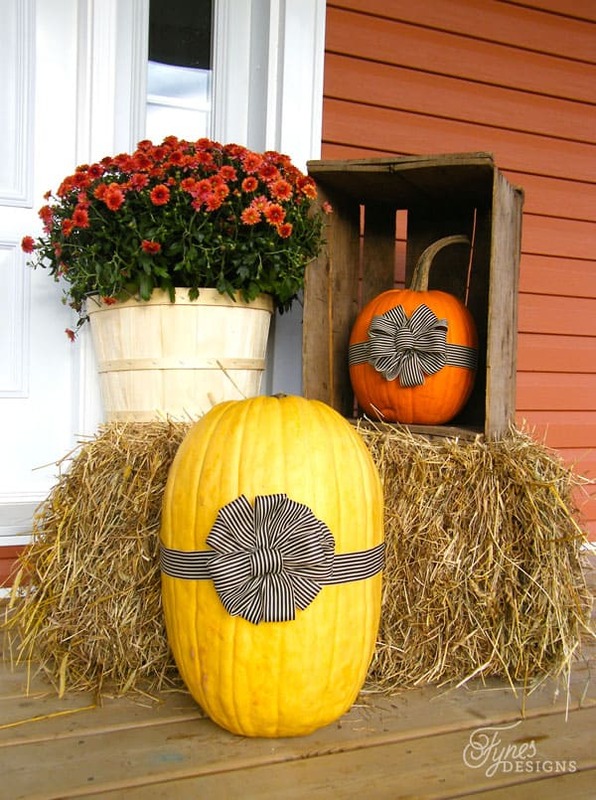 You may want to slide over to the May Arts Ribbon Blog to see how last year I added these fabulous bows to my pumpkins. I LOVE how they turned out! Adorable! It was awesome meeting you in REAL LIFE! whoohwoo! I do want more cupcakes and more scrapping! 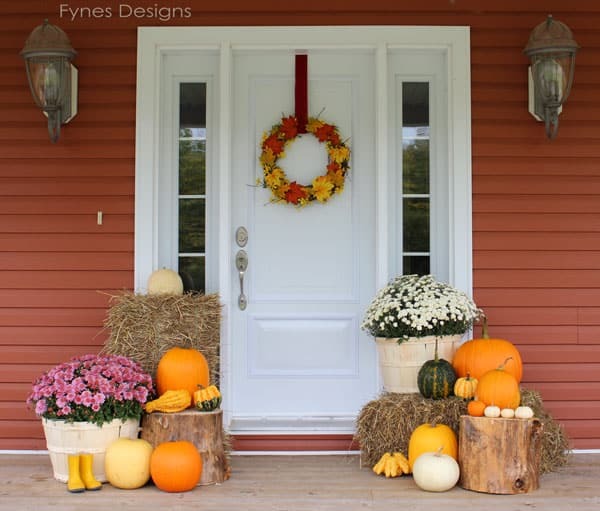 Your porch looks absolutely perfect for fall! I love it! Looks fantastic! I’m working on changing mine over from summer to fall this week. 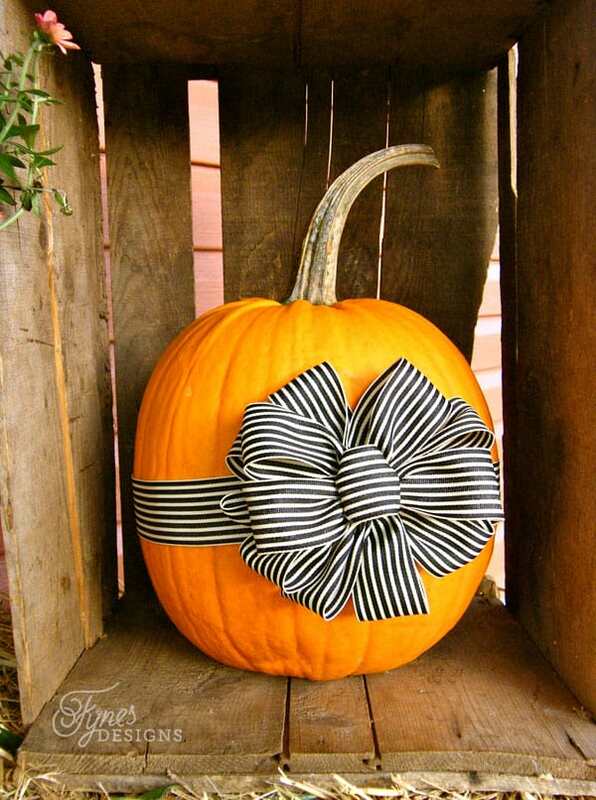 How did you tie the bows on the pumpkins? If you follow the link to the May Arts blog you’ll find a tutorial. Thanks for dropping by! This looks beautiful, especially with the colour of your house! Gorgeous front porch!! I love the big tree stumps especially! Enjoy your Saturday, friend!